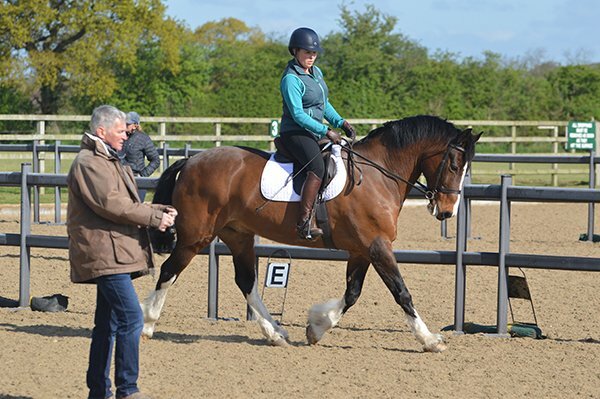 The club hold dressage/flatwork clinics on Thursday evenings in Northop and Sunday mornings in EquiTi. Members only, can book a time slot for a flatwork clinic using the booking calendar on this page. Clinics are two people sharing 45 minutes, and cost £22.00 each. Multiple time slots can be added to the shopping basket, but PAYMENT MUST BE MADE IMMEDIATELY at the time of booking. You will receive a confirmation email, please use a valid address. If you are no longer able to take your place, please liaise with the clinic organiser who may be able to re-sell it for you. Cola Hyde organises the Sunday morning clinics and Gilly Fraser the Thursday evening clinics. The club has a DTM class twice a year during its dressage competitions in Northop. One at the Christmas competition and one at Easter. To prepare our members to enter this class, Cheryl Weaver will be running a subsidised DTM clinic soon. Please liaise with Jacqui McLeod if you are interested in attending. Once you book, you are committed to attend (and pay in full), unless you cancel SEVEN DAYS in advance of the clinic, or a replacement can be found. If you have any questions regarding Adrian's Thursday clinics, please contact Gilly Fraser. If your chosen date is already booked, please contact Gilly on 07814 972719 or email to be added to a waiting list. Adrian does Poles & Cones for the dressage horse throughout the year. The price will remain the same but there will be three riders in each class.